Performing arts include dance, music, theatre, and other arts forms whereby artists use their own body, face, and presence as a medium. Look here for websites designed to help students learn about and understand the many aspects of the performing arts. For retail curriculum products and non-free resources, see our performing arts curriculum section. 8notes.com offers 46 Free lessons introducing you to the most important concepts of music theory. They also have a Scales section and piano chord chart and Guitar Chord Chart. ArtsAlive.ca is the National Arts Centre's performing arts educational website. Learn about orchestral music, dance, English and French language theatre, and explore engaging archival collections. ArtsEdge is the Kennedy Center's free digital resource for teaching and learning in, through and about the arts. Their student section offers audio stories, video clips, and interactives. Classical music's great composers come to life through music and stories. Listen to the classics online and have fun online with classical music games. Parents will find great lesson plans and teaching resources. Learn how to play drums with free drum lessons online. This site features drum lessons that will guide you every step of the way. They include video lessons, articles, and printable sheet music! Free, kid-friendly video piano lessons for beginners. Geared for ages 5-10. In addition to learning to play songs on the piano, kids will also learn to read notes and rhythms, transposing, music theory, and solfege. Supplemental printable materials are also available for purchase. Lots of high quality music graphics. Think of Guitarbuzz as your old-fashioned beginning guitar method book re-fashioned into a multimedia experience you can use on any computer connected to the internet. Jeff Findley offers a free 20 lesson course. Everything on this site is designed to work together. If you go through all of the lessons thoroughly, you will have assembled the foundation for success, and a real understanding of the guitar. Free web resources and games for classical music education for children of all ages and their families and teachers. Check out their interactive games! Index of music lesson plans, worksheets, puzzles, and more. This free music course includes classroom activities, lesson plans, quizzes, worksheets, sample forms, and all necessary student material including songs and charts. All you need is a recorder! Music basics and conducting tips are provided for those new to teaching music. Are you part of a homeschool coop? There is also a free beginning band course. Free creative resources for elementary music education. 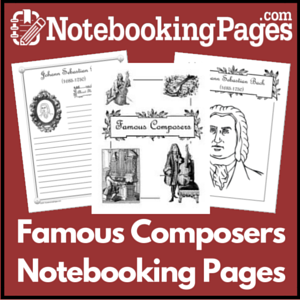 Find free sheet music, composer worksheets, award certificates, music theory worksheets, practice charts, manuscript paper, lesson zone worksheets, and more! Explore some parts of music with the DataDragon online tutorials and guides. Access and download FREE digital versions of the "Opera for Everyone" series of CDs and the Teaching Manual. "Opera for Everyone" provides an excellent opportunity for students to become familiar with the background and music of four classic operas -- each related to a different important period of opera: "The Barber of Seville" (1816) Rossini; "La Traviata" (1853) Verdi; "Carmen" (1875) Bizet; and "Madama Butterfly" (1904) Puccini. At this site, Phil Tulga shares a large number of free music activities and arts integration lessons that connect music to reading, math and science. This is a great resource! Kids will find a wide array of resources on QuaverMusic.com, a website featuring a whole world of musical discovery where kids can explore, discover and create music. For example they can travel from Quaver's Music Shop on the Metro or through a time travel Phone Box to learn different music styles - from rock to reggae - and become on-the-spot musicians as they create music on cutting edge games and play alone or interact safely with friends, to post and share with others. This website was created under a Creative Commons license. Ricci Adams offers lessons, exercises, and interactive tools for learning the fundamentals of music. There is a downloadable offline version available on his Classic Edition page. Explore the science of music with the Exploratorium through online exhibits, movies, and questions. Along the way, you can compose, mix, dance, drum, experiment, and above all…listen.